Last week I was in Boston and New Hampshire. There’s a LOT of snow there. 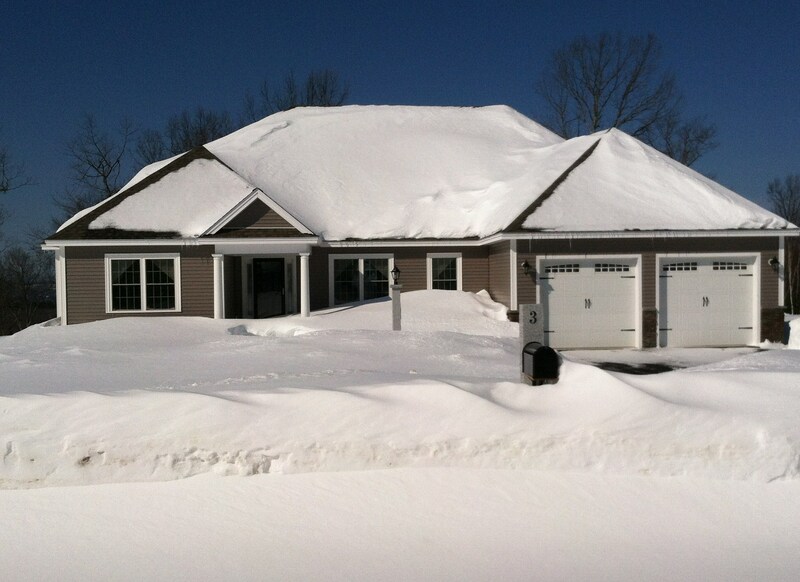 Take a look at the drifts outside this New Hampshire house. 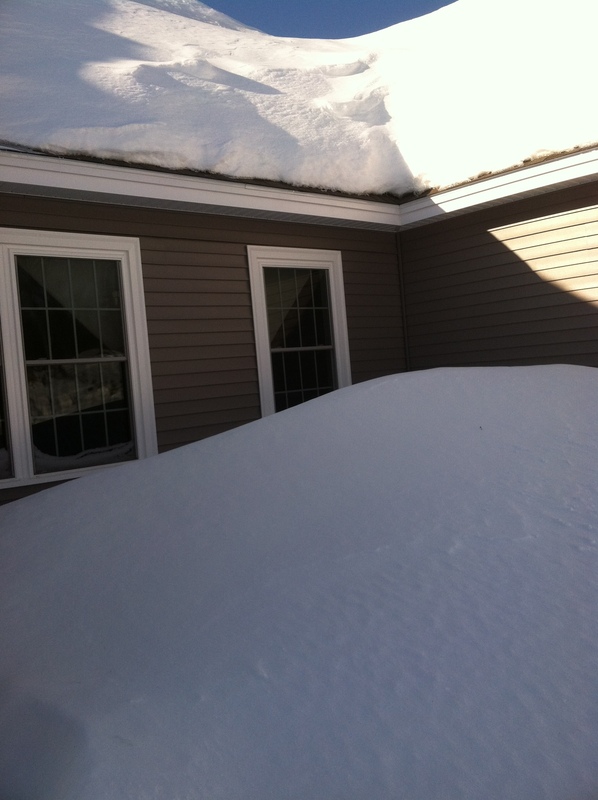 How long does it take to shovel those snowdrifts? Let me count the days! 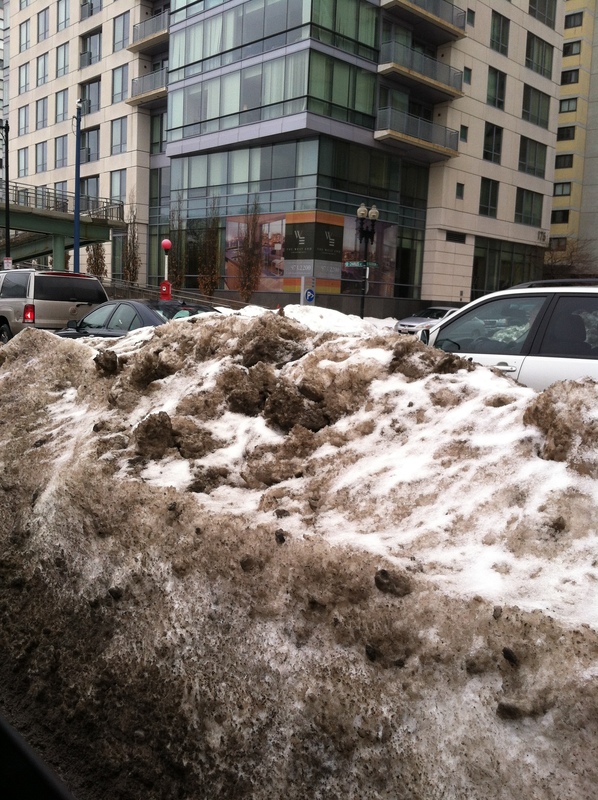 In Boston, snow is piled just as high. Mother Nature played a dirty, white trick on the Northeast. Do you remember the Big Dig in Boston years ago? Well, this is the new Big Dig. 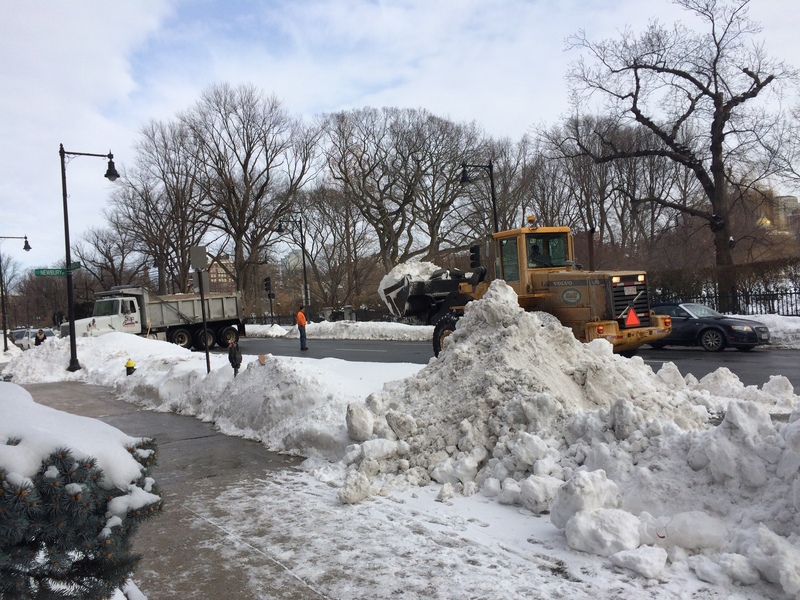 Snow is still everywhere and people are continuing to dig out! 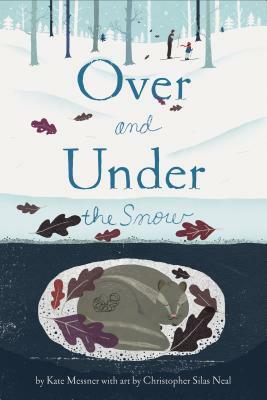 This brings to mind a wonderful nonfiction book, Over and Under the Snow, written by the very talented Kate Messner and enhanced with clever illustrations by Christopher Silas Neal. A little girl and her dad are enjoying a cross-country ski romp in the winter woods. As they glide over the snow, the little girl sees an animal dart by and then disappear. She wants to know where it went. Her dad describes the “secret kingdom” under the snow where animals are safe and warm during the winter. It’s a lovely winter tale. Boston has a secret kingdom under the snow, too. 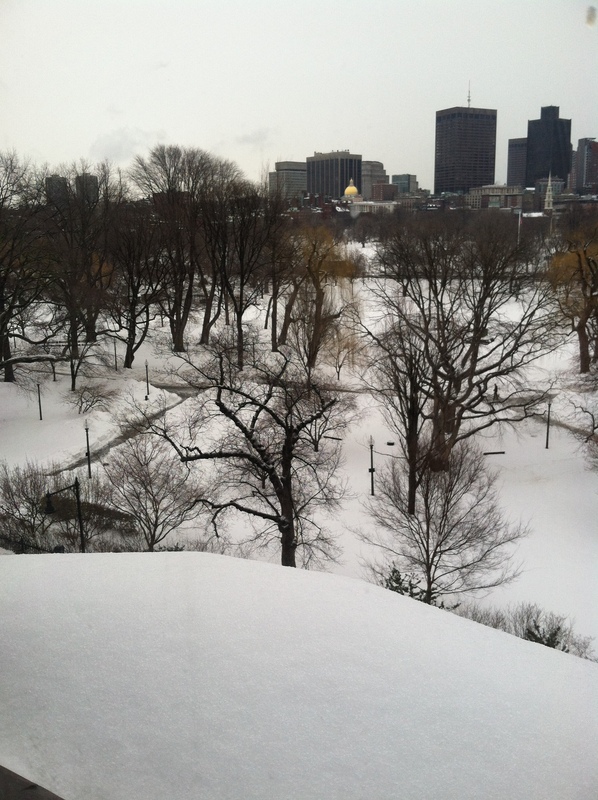 As Bostonians trudge over and around the piles of white stuff, there is a secret world beneath it. And over the snow is something else to keep your eye on. 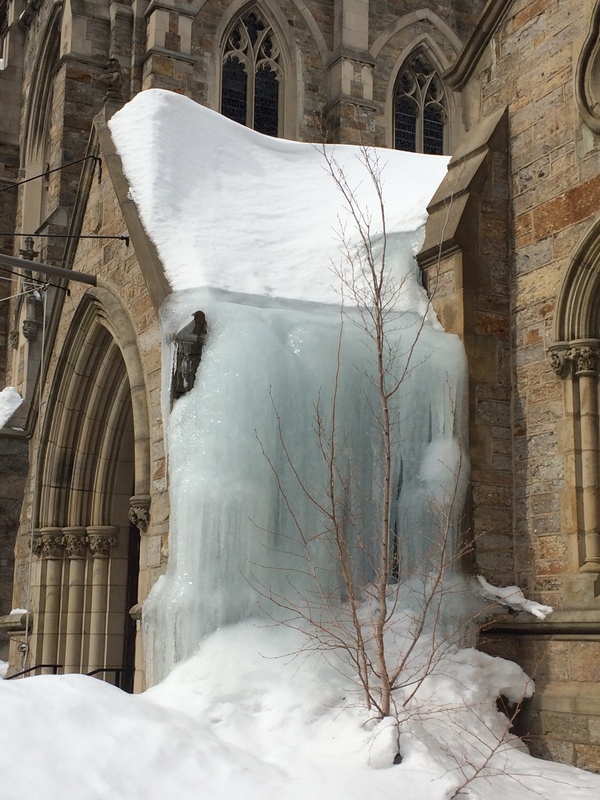 Long, dagger-like pieces of ice hang from buildings. 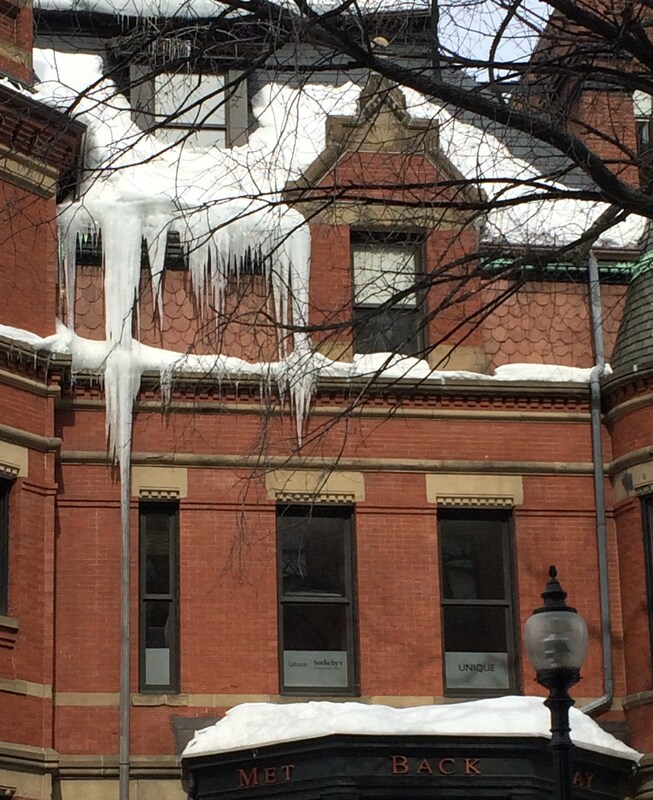 On a whim, those icicles can turn into a deadly weapon if they break free. 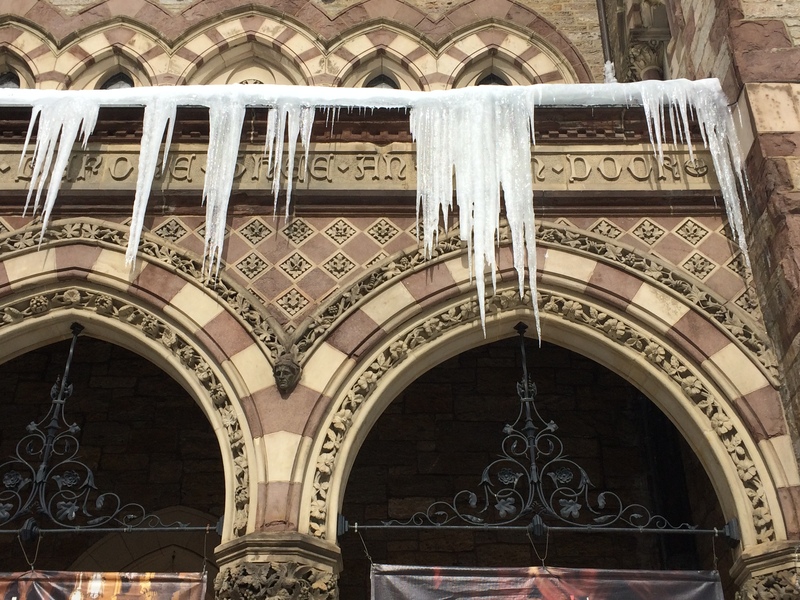 Unlike Kate Messner’s delightful story, the Boston Winter of 2015 is a cautionary tale. For the time being, keep a close look out for what’s over and under the snow if you’re walking through the streets of Boston. It’s a beautiful Little Free Library in the neighborhood! While on a walk, I discovered this library in my neighborhood park. Families donated time and money to install the Little Free Library for everyone in the neighborhood to use. The day I stopped by, it was packed full of great books for children and adults. 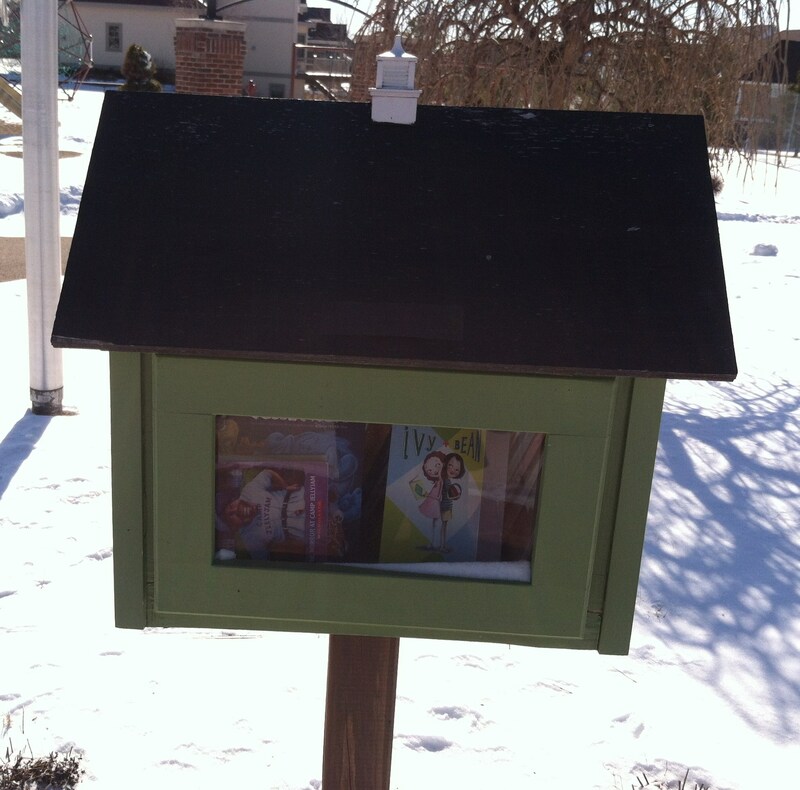 Keep those Little Free Libraries coming! 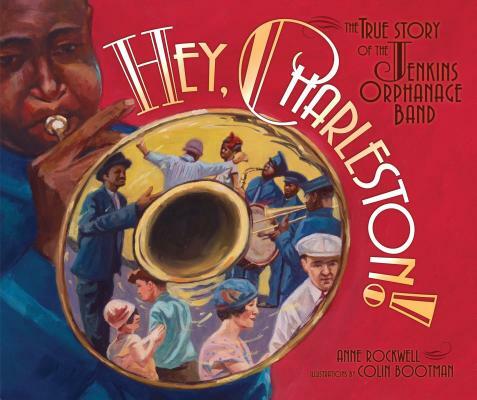 If you’re looking for an inspiring book to celebrate Black History Month, take a look at Hey, Charleston! The True Story of the Jenkins Orphanage Band. This book, written by Anne Rockwell and illustrated by Colin Bootman, demonstrates how goodness and hard work can change a bad situation into a good one. The Reverend Daniel Jenkins was a man with a kind heart and a vision. Once a slave and an orphan, he knew what it was like not to have a place to call home. In 1891 he opened an orphanage for homeless boys in Charleston, South Carolina. He asked for money from the town council to help support the boys. When that was not enough, the word went out the orphanage was looking for old band instruments people no longer wanted. The boys polished them and Reverend Jenkins found people to teach the boys how to play. Before long, the Jenkins Orphanage Band was established. The music they played was influenced by their African-American ancestors who lived on the South Carolina and Georgia coast. While some of the boys played their music, other boys danced. They twisted, twirled, tapped their toes, knocked their knees, and flapped their arms. The boys played on street corners to earn money. Their African-style music became known as “rag.” When there still wasn’t enough money to support the orphanage, Reverend Jenkins took the band to New York City. The people in New York liked what they saw and imitated the dance movements. The Band earned enough money to buy a larger place for the orphans where Reverend Jenkins made sure the boys learned school subjects and trades, but music was the main thing. The Jenkins Orphanage Band was so well-known it marched in the President Theodore Roosevelt’s inaugural parade and played in London at the Anglo-American Exposition in 1914. It was during that time Britain declared war on Germany. It was the beginning of World War I. The band had booked passage on a ship to take them safely back to American, but other Americans weren’t as lucky. A man who Reverend Jenkins had known in Charleston and who had given a large sum of money to the orphanage was stranded. The Reverend realized he had enough money left over from the band’s earnings to buy tickets for his friend and other stranded Americans. Once again Reverend Jenkins had turned something bad into something good. This was a man who had a vision and was an excellent role model. He provided a safe place for orphans, made music a large part of their lives, and educated them so they would be able to provide for themselves. The author’s note at the end of the books offers more background information. You might be surprised to learn many well-known musicians were influenced by the music of the Jenkins Orphanage Band. The orphanage Reverend Jenkins opened in 1891 is now known as the Jenkins Institute for Children. I grew up in a house that was filled with music. Even though none of us sings well or plays an instrument, we listened to all types of music and wrapped our heads and hearts around the many melodies we heard. One of the newest members of our immediate family – our one and only favorite son-in-law – plays the guitar and sings. His preferred music genre is the blues. 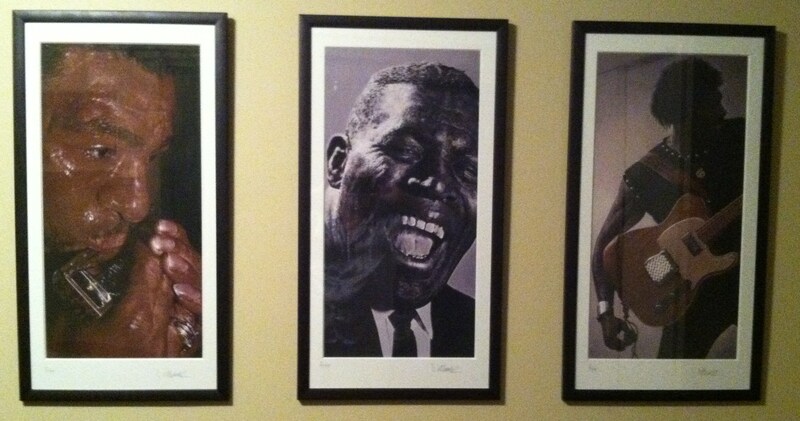 The guest bedroom in my daughter and son-in-law’s home features prints of talented blues legends who greatly influenced the world of music. Blues have been a part of the African-American music culture since slavery times. It has been said that to know the blues, you have to feel the blues. Male artists such as those pictured above and women such as Bessie Smith, Billie Holiday, Ma Rainey, Ethel Waters, and many others helped shape and define blues music and the music beyond. February is Black History Month. This year’s theme is A Century of Black Life, History, and Culture. Take some time to educate yourself on the life and times of African Americans and the numerous contributions they have made to our society. 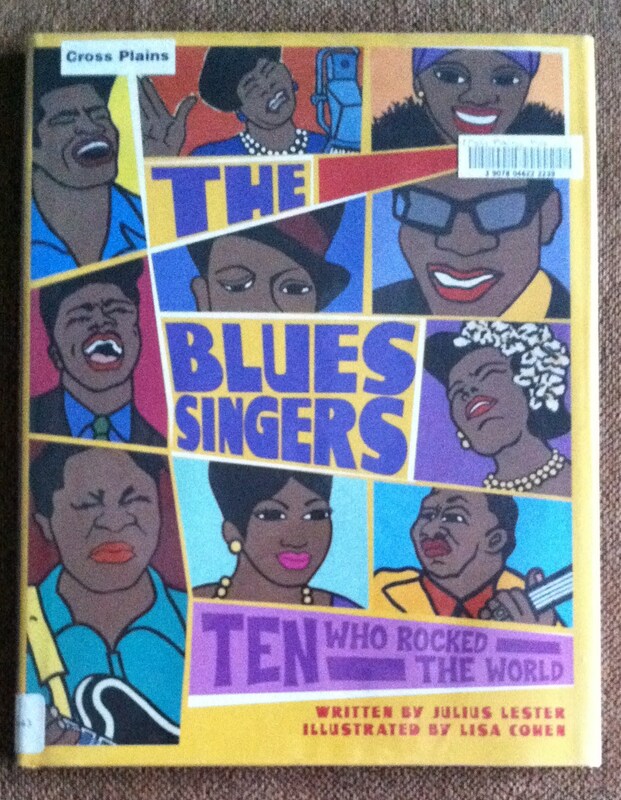 If you like blues, check this book out. It’s great for all ages.